Your first step in turning your home into a smart home is to buy a hub. This is the control center which tells all other devices - from light bulbs and plugs, to window blinds, speakers and the thermostat - what to do, and when to do it. 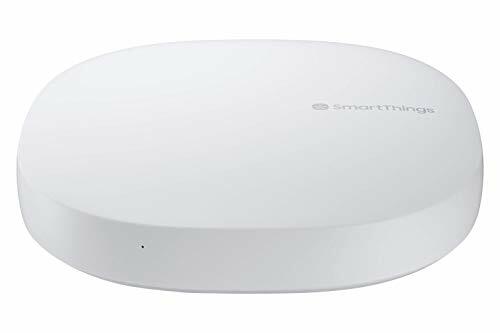 Smart home hubs range in price and complexity, from the simple Amazon Echo Dot and Google Home Mini smart speakers, up to the all-inclusive Samsung SmartThings system and hubs like the Wink Hub 2. So come along, and let GearBrain explain everything you need to know about the best smart home hubs of 2019. For this on a small budget, who don't want to invest hundreds or even thousands of dollars into their smart home right away, the $50 Amazon Echo Dot is an excellent place to start. The Echo Dot is a smart speaker first-and-foremost, so it can be used to play music from services like Amazon Prime Music, Spotify and more. It also has Alexa, Amazon's voice assistant which can be used to answer questions, read out the news headlines and weather forecast, play games, tell jokes, buy things off Amazon, add items to a to-do list - and, of course, control smart home devices. 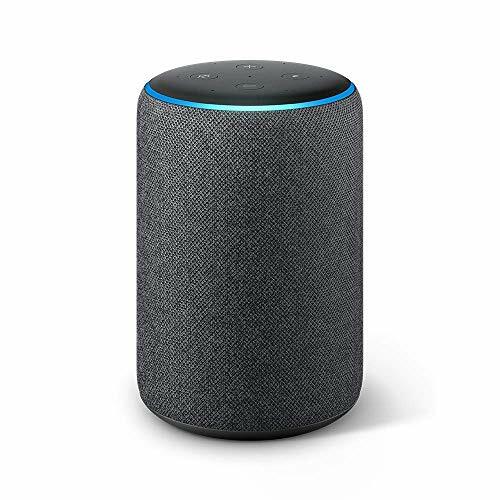 Any device with the 'Works With Alexa' icon on its box can be controlled by the Echo Dot, because Alexa works in exactly the same way on all Amazon Echo devices. You can start with a couple of smart light bulbs from Philips Hue, Lifx or Ikea, then have Alexa switch them on and change their color and brightness when you ask, or automate them via the Alexa smartphone app. After this, you can hook up a Nest smart thermostat, some smart wall plug, a Ring video doorbell, and maybe even some motorized window blinds - and have Alexa control everything when you ask out-loud, or use the phone app. 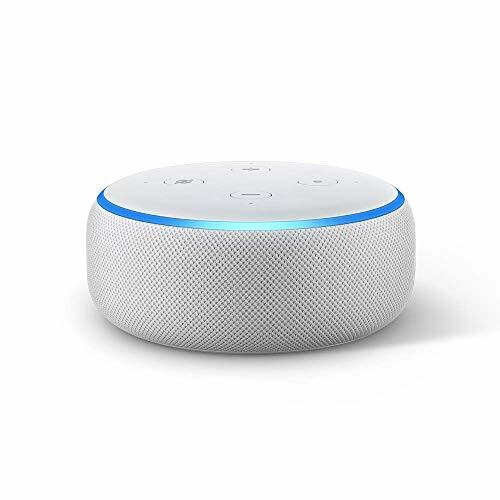 The only real downside is that the Echo Dot's internal speaker is quite small and not great for playing music loudly, but you can easily hook up the Dot to a Bluetooth speaker. For a more detailed look at what devices work with Amazon Echo devices, head over to The GearBrain. A trend which began in 2018 and continued through to this year is of the smart display. These are devices which work just like smart speakers - in that you talk to them to control things and play music - but they also feature a touch screen. The Google Home Hub is our favorite, and can be used to control devices either by voice or touch - the latter being particularly useful if you don't want to disturb someone who is asleep, or just don't fancy chatting with the Google Assistant. We love how the Home Hub acts like a central command unit for your home, with simple on/off and slider icons for dimming lights, adjusting the heating, and more. We also found the Home Hub is great for when you share a house with less tech-savvy people. If they can't remember exactly how to adjust a lamp, for example, instead of working out "Hey Google, dim the lounge lamp to 30 percent", they can tap and swipe at the display, working out visually what to do. All Google Home devices work with smart home products with the 'Works With Google Home' logo on their retail packaging. And while this isn't quite as many products as work with Alexa, there isn't much in it. Chances are, the smart home devices you want - lights, locks, cameras, doorbells etc - will also work with the Google Home Hub. You can also use the Home Hub to view photos and watch YouTube videos. For a more detailed look at what devices work with Google Home devices, head over to The GearBrain. If you want to take things up a gear - or you just don't want a smart speaker with voice assistant in your home - then a conventional smart home hub is the answer. 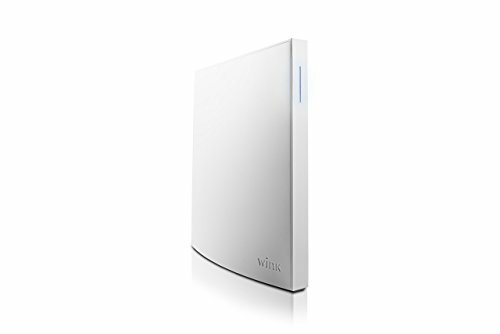 The best, as far as we're concerned, is the Wink Hub 2. Although getting on a bit now, the Wink Hub 2 claims to work with more smart home protocols than any other. These include Bluetooth LE, ZigBee, Z-Wave, Kidde and Lutron Clear Connect. That means the Wink 2 is very likely to work with every smart home device you currently own, and with those you intend to buy in the future. New devices are automatically discovered by the Wink Hub 2 when they are switched on nearby, making it easy to set everything up. Devices like smart cameras, thermostats, locks, plugs, leak detectors and lights from various manufacturers can all be set up to work with the Wink Hub 2. Just like home Amazon Echo and Google Home devices have routines, the Wink has 'robots' which are configured in the smartphone app to perform several actions at once, like turn the lights off, lock the doors and close the garage when you leave home. It may seem a little left-field to include the Apple TV 4K - a media streaming set-top box - in this article, but over the years it has quietly become a smart home control center. Third-party devices made to work with Apple's HomeKit smart home platform all connect to the TV 4K, and can then be controlled via the Home app on your iPhone, iPad or Mac, or by speaking to Siri on any Apple device. HomeKit devices might not be as common as those made to work with Alexa and the Google Assistant, but interest in Apple's system from manufacturers is growing. There are smart plugs from iHome, switches from Lutron and Ecobee, lights from Philips Hue, Lifx, Ikea and Eve, door locks from August, and thermostats from Honeywell. Of course, the Apple TV also doubles as one of the best media streaming boxes on the market, with support for Dolby Vision and Dolby Atmos, 4K Ultra HD content, and services like Netflix. The Apple TV also turns your television screen into the central command hub for your smart home, which is pretty cool. And no doubt it'll also work with the streaming service Apple is going to announce on March 25.